Read more who we are, what we do, about our vision and our mission and which organizations are under our “umbrella”. 2018 – 2019 and 2017-2018 teams and Auditing Committee of our organization. Learn more about our all of our past and upcoming events. We would be glad to see you on our upcoming events and chat a bit how can we help you. Let's keep in touch! Sign up to our mailing list and receive all the news and updates on your email. Dear friends, we would like to invite you to attend Chornobyl Disaster Commemoration. 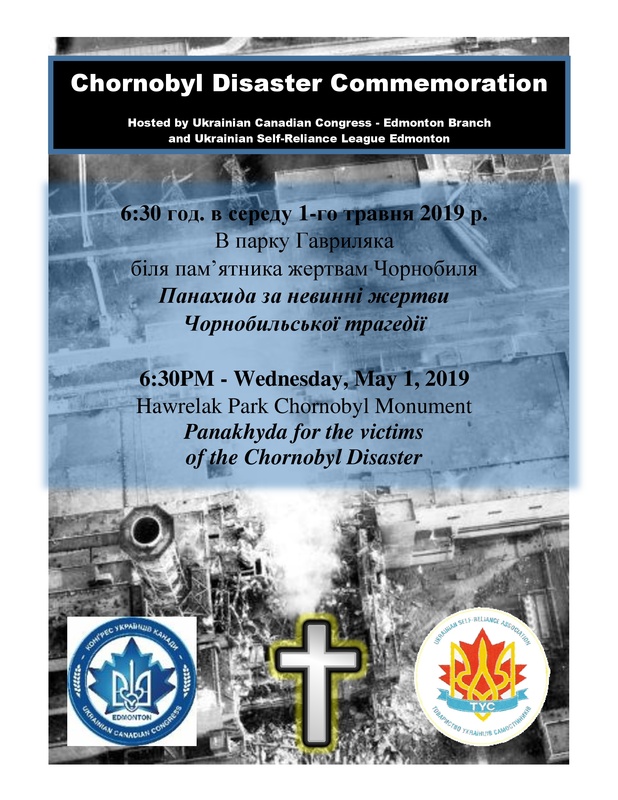 Please join us May 1st at 6:30pm at Hawrelak Park near the Chornobyl Monument. Ukrainian president elections in Edmonton!